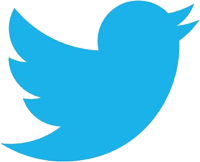 You may have noticed that we have a new logo. This new logo represents our joint, international work for the improvement of the quality of life in Africa. Although the Mahola project started off as a Christian missionary project, we have since received much support from a great variety of people from different countries, cultures, languages, ethnic origins and different faiths. Among us we have many Christians, but also Muslims, Jews and people without any religion. We are an inclusive and diverse project and we welcome anyone without conditions to join us and support us. We are very proud of our diversity, working together for the common good of humanity, as part of the global family to which we all belong. 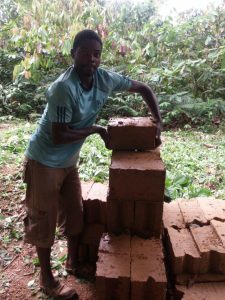 The local and environmentally-friendly production of the first bricks for the health centre has started in Siliyegue, Cameroon. Clay bricks are formed one by one using a locally manufactured manual machine. They are then stored in an open shed until they are burnt in an oven that will be used for multiple purposes: to burn bricks, to make bread and to cook – depending on the needs of the local population. Please come and join us at our Hélélé concert in Wrington on Saturday 9 June 2018 (the local drumming group ‘Tokende’ will also be starring) – excellent music, great people, and dancing (not mandatory but difficult to resist). For details, please have a look at the poster (Hélélé concert in Wrington 090618). Bristol 10k – running or drumming for the project? Option 3: You can just join us there and have a great time (we are the people drumming and wearing Mahola t-shirts – weather permitting). We are looking forward very much to seeing you there!!! Hélélé concert in Wrington on Saturday 9 June 2018 – excellent music, great people, and dancing (not mandatory but difficult to resist), details will follow soon. We have now a new gallery with photos from a recent trip to Cameroon here. The photos show the local population of Siliyegue including members of the elected local steering committee, as they sign off the Mahola project documents at the end of the design phase. During a recent trip of our local coordinator to Siliyegue, the Mahola project documents have been signed off by the UK based project team and the locally elected Steering Committee. These documents include the Mahola ‘Building Instructions’ and the ‘Governance Plan’ including five policies, i.e. the ‘Environmental Protection’, ‘Child Protection & Safeguarding’, ‘Health & Safety’, ‘Security’ and ‘Ethics & Compliance’ policies. You can find these documents here. Three small projects continue to run in parallel in order to develop the Mahola system’s ICT solution, the solar energy sub-system and a training application. Our focus will now be on ramping up our awareness and fundraising campaign; and preparing the local implementation of the Mahola system.